Today, I went through a fire safety training where the demonstrator talked about how much of a mess it can cause to discharge a fire extinguisher. Of course, nobody wants to have to clean up a huge mess, but an even less desirable outcome is having nothing salvageable to clean up because everything was completely consumed in a fire. In conclusion, he said, “When you have to choose between a fire and a mess, choose the mess!” That simple phrase struck a chord deep within me. Last week I revisited an old place with a new perspective. When I visited this time last summer, all I saw was all I needed to see as I stood at the edge of the property, now overrun with tall weeds. I peered across at the dilapidated house, now crumbling even at the foundation, with missing windows, dangling doors, and a sunken ceiling. The ugliness on the outside compared very little to what ugly memories it held, so my heart was gladdened to see it decaying in the summer sun. I felt God clearly reminding me that He was doing away with old things, the old places of pain and shame in my life, and doing something new and beautiful. This time, I took in the same scene, only the house was even more decrepit than before, the master bedroom having collapsed into the former den and only a shell of the building still there. But, even there, there in the dust, in the remaining hovel that was once a home, even there I saw beauty I’d not seen before. I saw plenty of old things, yes, but I saw new things growing all around, and that made me smile. I saw several sassafras trees and saplings and even took one home to remind me God is still doing new, beautiful things in old, ugly places. I’ll be sharing more of these beautiful things in The Beautiful Things Project, and I want YOU to join me! Everyone has a story, and it makes all of our lives more beautiful to listen. Join me in The Beautiful Things Project where you can share YOUR beautiful things, things others may find ugly, things you once found ugly, or things re-purposed or restored. Watch the brief video below, subscribe, share, and send pictures and/or descriptions of your beautiful things. 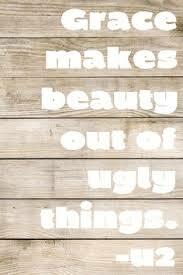 Let’s commit to seeing beauty in every single thing!